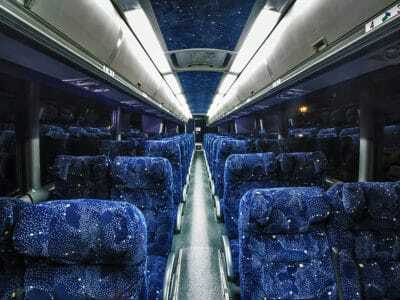 LI Party Rides offer the ultimate Party Bus experience in New York & Long Island. 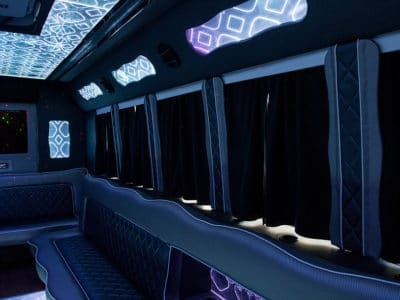 LI Party Rides Limousines is your best option for group size over 20. 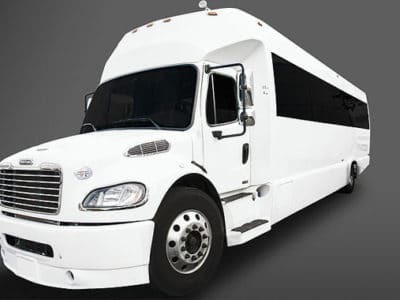 Our Party Buses are designed to provide safety and comfort the passenger in the perfect party atmosphere. With fully customized LED lighting the interiors offer a great night club feel. 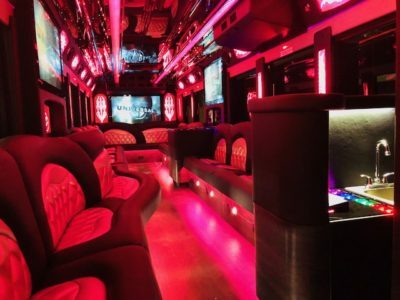 Paired with the Surround Sound System you won’t want to leave the Party Bus. 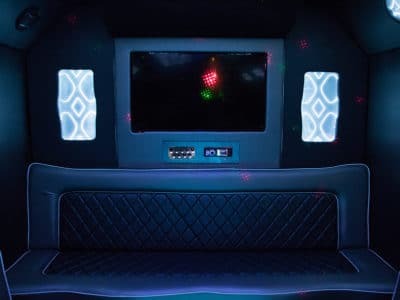 Each of our party buses Includes fully stocked beverage bars that are capable of keeping all of your guest refreshed. 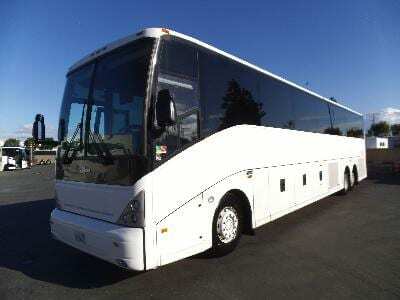 This is the perfect sized vehicle for any groups between 18-24 Passengers that are looking for extra room for partying! Our Ford Party Truck has been customized with the latest in entertainment technology. Our Blue Tooth Surround Sound system will ensure you and your guest have the best music for the ride. 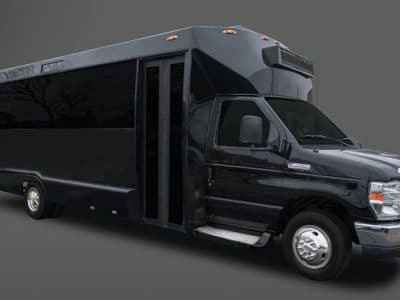 The latest addition to our Party Bus fleet is our Ford C5500 Party Bus. 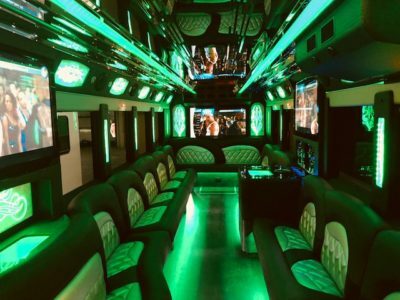 This fully party bus has a comfortably 30 passenger capacity making it a perfect size for Wedding Parties, Bachelor parties, Prom, and Sweet 16′. The full LED lighting system allows you to control the bar, ceiling, floor, and post lighting. 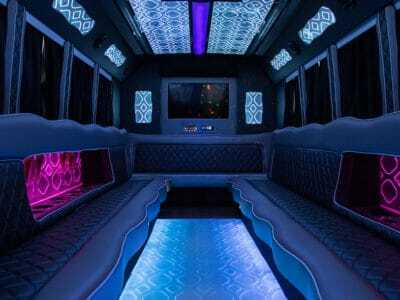 LI Party Rides Limousines lead Party Bus the Tiffany Party Bus is perfect for any occasion. 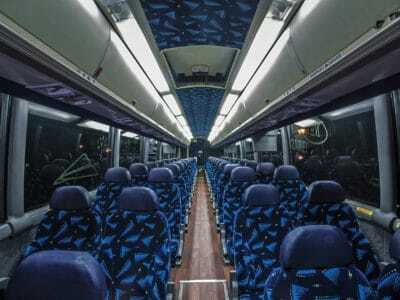 This state of the art party bus accommodates 34 passengers. The Tiffany Party Bus has ample room for partying. Stand up or enjoy our luxurious leather seating. You will love the LED lighting as well. With a simple interface control the lighting of your own party on wheels. The perfect choice for all of your Shuttling needs. 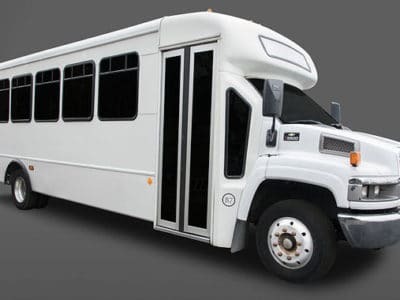 The 50 passenger Coach Buses will work round the clock to make sure all your guest arrive to your event safe and on time. 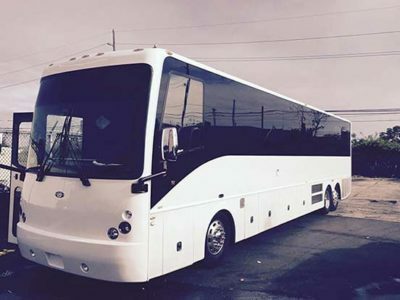 Our 40 passenger luxury bus is the perfect solution to all your group transportation needs when a luxury limousine is too small and you want to travel in comfort and style. 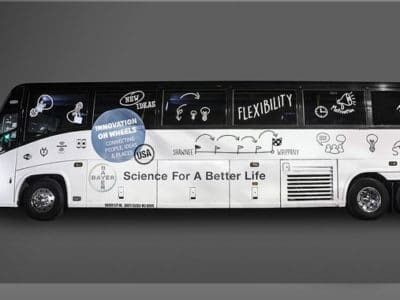 It combines comfort and safety with entertainment.